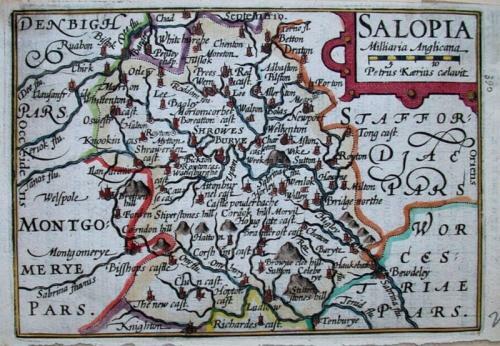 A very rare example of Keere's miniature map, in its original form, before the maps were re-engraved and re-published by Sudbury & Humble. There were only two editions in this form t he first being published in 1599. Coloured. A good clear impression. Latin text for Staffordshire on the reverse.